Sorry, there are some typos. That’s nice, Grandma Bambi. I edited them. Hello! I’m Paige! I’m glad you created a blog, I always love to see photos of other peoples collections! 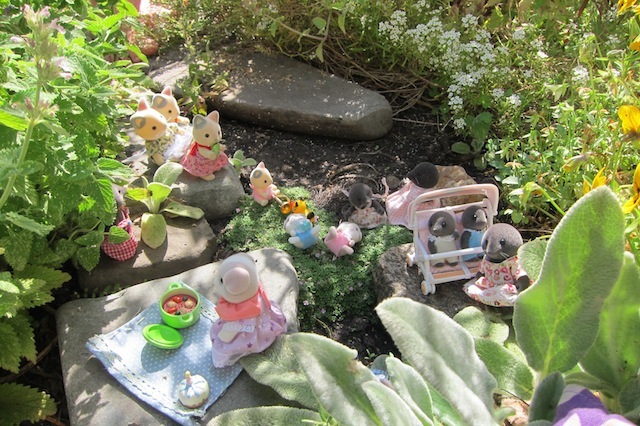 That picnic looks so cute, all the Sylvanians must have had a great time? May I add your link to my blog (sylvanianliving.blogspot.com)? Sure, go ahead! I’ll add yours too, if you like. Your Sylvanian pictures are cute. Thank you, Aranera! I like your blog, too! Your claw machine idea is so awesome!